Food security is one of the greatest challenges currently facing humanity. Globally, at least one billion people are food insecure. More than 3 billion people rely on fisheries as a large source of protein. Sadly, most of our fisheries globally are currently overfished, or fished at their capacity. As fisheries strain under increasing pressure from climate change, intensifying resource use and changes to land management, their decline and collapse is becoming increasingly common. So how do we manage this, and ensure adequate food security and nutrition for a growing population? The answer may lie with fisherwomen in small scale fisheries. Through my research, I have been exploring links between gender equity, nutrition, management, and conservation in the Solomon Islands. For the last two years, I’ve been working with women in coastal villages in Marovo Lagoon in the Solomon Islands’ Western Province to understand how these women are engaging with fisheries. My research aims to uncover the barriers to women’s involvement in fisheries management, ways we can overcome these and how we can achieve food security in the Solomon Islands by incorporating women into fisheries management. Most food security predictions rely on official fisheries catch data. However, these data often inadequately account for catch in inshore environments, which have long been the domain of women. Current estimates indicate that women make up over half of total employment in the fisheries sector globally. Despite their high involvement, women are poorly represented in decision-making and policy roles, particularly at a senior level. In the Solomon Islands, all villages have a conservation committee and team of nationally-registered rangers that make decisions about land and sea management at a village level. However, very few to no women are actually involved in these committees and ranger teams across the villages. As part of my research, I organised focus groups with women to discuss their attitudes to fisheries management activities in their villages. The general consensus in all focus groups was that women’s perspectives are often sidelined and ignored in decision-making processes, with all women indicating they would like to be more involved but felt there was little opportunity for them to do so. One woman said they “would prefer to join the rangers – no women have joined the [conservation] committee. I wasn’t here. It started before I came back [or I would have joined]”. In one village, the gender divide was striking with no women involved in conservation activities at all. As a consequence, information and awareness around management actions flows poorly amongst women in this village, while men tend to be more aware and educated. Many women expressed concerns about population growth and dwindling resources, with one woman noting that “looking forward to future generations, people [here] are increasing so it is a good idea to look after our sea resources”. Women indicated they would like to be more educated about conservation and resource management issues, as well as about subsequent management actions. One woman noted that, “When I was a small girl… [there were] lots of fish at this island here. You throw your line, you will catch a big fish. This time, no. Now, too many people and [we are] overharvesting so it’s not the case”. Across all villages, women indicated a number of management actions that they would like to see implemented in response to concerns about overharvesting. Banning night diving for fish, restricting allowed gear types, implementing minimum fish sizes and maximum allowable catch, rotating fishing grounds and increased education programmes were just some of the suggestions made by the women. At present, very few management actions have been put in place in these villages. Although at a national level there are restrictions on allowable fish size and catch, these are not well known and rarely enforced at a local level. Some villages have banned gill nets, due to their indiscriminate catching of all sized fish. However, night-diving with spearguns for sleeping fish is still a popular fishing strategy for high value species, such as bumphead parrotfish which fetches a high price at markets, and is regularly undertaken by most men. If fishing practices are to be sustainable and ensure there’s enough fish in the future, we need to have some restrictions around fish size (to prevent harvesting of juvenile fish), total allowable fish catch (to make sure we aren’t taking too many fish out of a given population), and gear type (to ensure we aren’t harvesting at random, or too easily). Not only do women do a lot of fishing, they have a pretty good understanding of how to sustainably manage resources in these small-scale fisheries too. Small-scale fisheries are predominantly artisanal and subsistence fisheries that at least one billion people, including the women in the Solomon Islands, rely on for their livelihoods. Concerningly, predictions suggest that by 2030, coastal fisheries in the Pacific will be unable to meet domestic demand in six of the 22 Pacific Island countries and territories. In most Pacific nations, fresh fish accounts for a huge proportion of animal protein intake, with people consuming as much as 110kg per year. Given that fish catch in much of the Pacific region is predicted to decline more than 20% by the year 2050, this heavy reliance on fish raises concerns about whether people will be able to maintain nutritionally adequate diets. But are we actually seeing the full picture? The declining productivity of inshore fisheries over the last 15 to 20 years has seen fisheries agencies throughout the Pacific region spring into action, employing various management strategies. One of the most commonly employed strategies is the implementation of tabu areas. 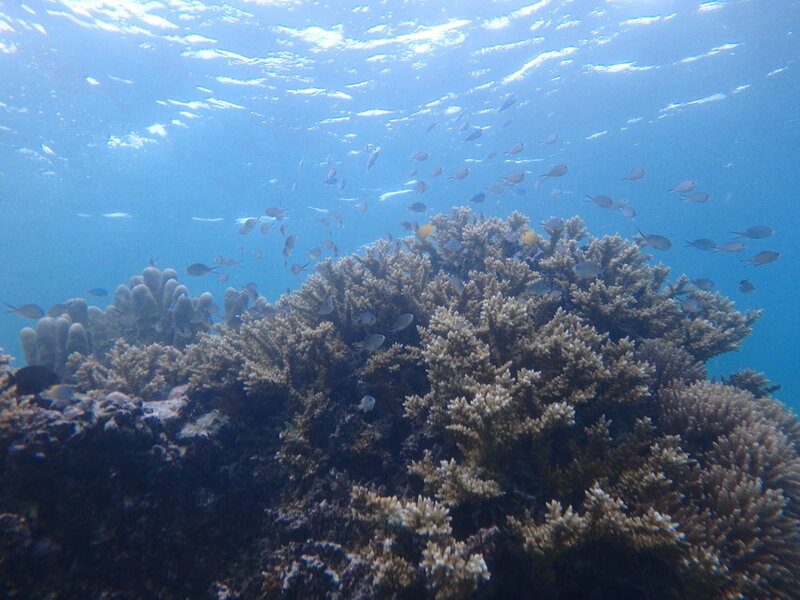 Tabu areas are a form of customary marine management, and generally consist of small areas that are either permanently or seasonally closed to fishing to allow resources to recover. More often than not, these are employed to manage reef fish. But it turns out they might actually be more effective at managing shellfish. Unlike reef fish, shellfish have small home ranges and reproduce much faster. Reef fish on the other hand move around a lot, don’t follow boundaries and take a long time to reproduce. Shellfish are an important resource in terms of food security, and can often be kept longer than fish before cooking. Despite their significance, shellfish rarely feature in management strategies because they are harvested by women, not men. Declining productivity in nearshore areas has meant that many fishers have begun to exploit sites further away, to adapt and diversify their fishing techniques and to target a greater variety of species. It’s important to note, however, that women are less able to respond to this by changing their behaviour. There are a number of factors that affect women’s ability to participate in fisheries harvest, such as household responsibilities, cultural norms, and gear and time restrictions, all of which are seldom considered in resource management plans. We know that women fish a lot and have good ideas about how to manage fisheries. We know that women are the gatekeepers to improved health and nutrition outcomes; mediating access to food at a household level, and going without in times of scarcity. Sustainable management of small-scale fisheries is critical to achieving food security goals for coastal nations but requires a complete picture of harvest and involvement of all stakeholders. Reliable data on the role of women in fisheries, including catch rates and fishing effort, are necessary if we want to have enough food in the future. Fisheries managers often fail to adequately consider the impact of declining fish catch and closures of fishing grounds on women’s access to resources and income. 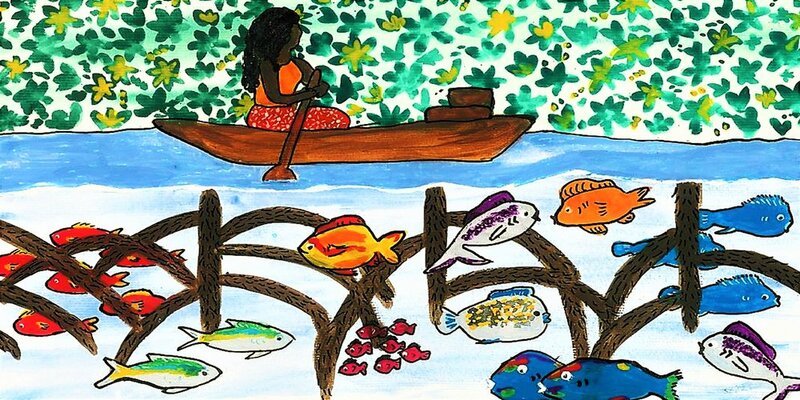 Given the role women play in determining household and community food security, it is difficult to argue that sustainable management of fisheries for conservation and food security outcomes can occur without consideration of the role’s women play. If we’re serious about addressing food security in the Pacific, it seems clear that we need to be involving women in the decision-making process.